Laptop batteries have a notoriously short shelf life. Despite recent improvements to lithium-ion technology, most batteries can only withstand a certain number of charge cycles before their capacity starts to deteriorate rapidly. 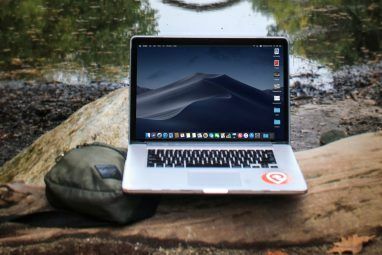 Of course, there are a few steps you can take to combat this (optimize Windows 10 for battery life or improve battery life on Macs). But none of that will help if your battery is already dead. So is it possible to jump-start a dead laptop battery? Well, yes. We look at three different methods and give each one a score out of 10 for ease and effectiveness. If your computer has a nickel metal hydride (NiMH) or nickel-cadmium (NiCd) battery, you could try freezing it. 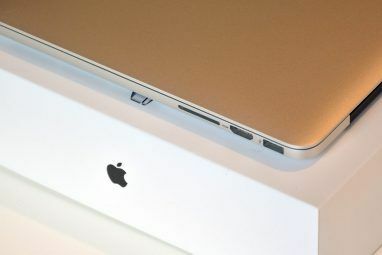 If you have a lithium battery (which covers all Macs and most new Windows computers), do not try this method. Gelling the battery’s electrolyte sufficiently so that the charging process can overcome crystallization. Slowing the movement of free electrons so more electrons can join the flow. Note: If your battery is exceptionally old, all the electrons have probably leaked away, and this method will not work. To begin, turn off your computer, disconnect it from the wall socket, and remove the battery from your machine Should I Remove My Laptop Battery To Increase its Life? Should I Remove My Laptop Battery To Increase its Life? Does running your laptop on AC power damage the battery? Should you remove the battery to increase its lifetime? You've probably wondered about this. Find out the answer now! Read More . Be warned that if your battery is not removable, taking apart your computer to get it out will void the warranty. Next, place the battery inside a cloth bag, then put the cloth bag inside a sealable Ziploc bag. Do not skip the cloth bag—it adds an essential layer of insulation. And make sure you use a Ziploc bag. A regular plastic grocery bag will allow moisture to seep in, potentially destroying your battery for good. Thanks to the power of science, I was able to fix my dead laptop battery by putting it in a sealed container and shoving it in the freezer. Put the Ziploc bag in the freezer for 10 hours. After the 10 hours have passed, let the battery naturally warm up to room temperature before putting it back in your computer. The process is scientifically backed, but we’ve docked points because it doesn’t work with the newer lithium batteries. And despite some internet rumors, putting your battery in the freezer will not charge it or improve its performance. It’s solely a way to jump-start it. This is a method for jump-starting lithium batteries. Remember, lithium batteries will die if left unused for an extended period. You should try to turn any lithium-powered devices on at least once every two days to maintain the battery’s health. Warning: This method works, but it’s risky. If you overcharge for too long, the battery could explode. Wear eye goggles and perform the process in a large, clutter-free area. Before you begin, you’ll need three items: a crocodile clip, thin wire, and a laptop charger or power supply unit. The wiring in an Ethernet cable will suffice, if you have an old one lying around that you’re willing to cut up. First, you need to locate the positive and negative pinouts on your battery. In theory, these should have clear labels. If they don’t, search Google for your battery model. Next, cut two pieces of wire. Each of them should measure about 2.75 inches. One of them will play the role of the positive wire; the other is the negative. On the positive wire, remove about 0.4 inches of the protective coating from each end. On the negative wire, remove about 0.4 inches at one end and just under 0.8 inches at the other end. When you’re ready, insert one end of the positive wire into the battery’s positive pinout, and insert the 0.4-inch end of the negative wire into the negative pinout. Slot the other end of the positive wire inside the charger’s positive pin. Finally, attach the 0.8 inch end of the negative wire to the negative outer conductor using the crocodile clip. Now you need to leave your battery for two hours. When disconnecting your setup, exercise extreme caution—this where there is a risk of explosion. Reinsert the battery into the laptop to test whether the jump start was successful. Equally as reliable as the freezing method and it works with newer lithium batteries. However, we knocked a couple of points off for the danger factor. This is the most adventurous of the three fixes. You can try to replace some (or all) of the cells in your old battery with functioning cells from a working but unused battery. The replacement cells must have the same chemistry makeup as the current cells (e.g. lithium-ion). Your new cells must have the same rated voltage as the old ones. The new cells must have the same or higher capacity as your old cells (measured in mAh). The new cells must be the same physical size as the old ones. You’ll also need a soldering tool. To start, remove the battery from your laptop and pry it apart. You will probably need a flat-head screwdriver or putty knife. Within the battery’s casing, you’ll see a series of individual cells. Typically, they look like regular AA batteries. Each of the cells will be connected to a circuit board with wires. Make sure you make a note of which wires go where. Ideally, you should also use a multimeter to ensure there’s no potentially dangerous residual charge. Separate the cells from their wires and each other using your soldering tool, then take them out of the case. Next, solder your new cells together and reattach the wires to the correct locations. Finally, put the battery’s casing back together and let it rest for 48 hours to ensure you soldering work has set. Yes, the process will work, but it requires a knowledge of soldering, the chances of having all the necessary tools and batteries cells handy are slim, and it takes a long time. It’s easy to avoid landing yourself in a situation where you need to jump-start the battery if you monitor it correctly. 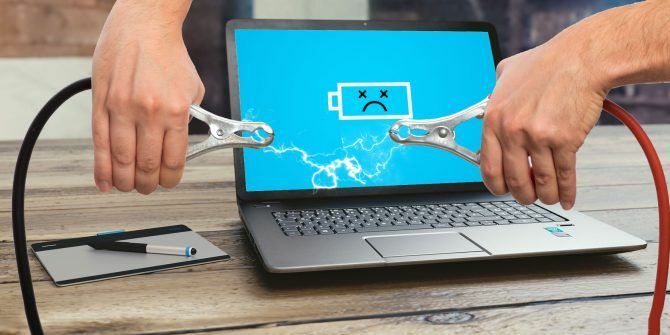 We recommend using a battery monitoring tool The 6 Best Tools to Analyze Laptop Battery Health The 6 Best Tools to Analyze Laptop Battery Health Do you pay attention to your laptop's battery? Here are the best tools to stay on top of your laptop's battery life and health. Read More . They can do everything from recalibrating your power unit to displaying your discharge rates on charts and graphs. This makes them a vital utility for keeping your battery healthy. Explore more about: Batteries, Battery Life, Hardware Tips. If the battery is well and truly dead, the laptop is probably old enough to not be worth much of anything. It's probably more productive to let a technician pull the hard disk drive and attach it to another PC to retrieve anything of value. That can be difficult for corporate machines with drive-level encryption, or for ultrabooks or tablets with soldered-in storage, but it's almost certainly less dangerous and more reliable than trying any of these methods. DO NOT UNDER ANY CIRCUMSTANCES TRY METHOD 2! It is irresponsible for MUO to even list this option. There is a good chance of getting chemically burned or causing a fire with this method. Even if the battery does not explode, the typical home user will not have the equipment or knowledge to know when a specific battery has been connected long enough. Where did 2 hours come from? MUO must have good lawyers. "Be warned that if your battery is not removable, taking apart your computer to get it out will void the warranty." If your battery is misbehaving because of old age, then the warranty probably expired long ago and there is no need to worry about voiding it.